I know, I know, it’s late- but this weekend was my birthday weekend, so… yeah. 9 books isn’t a bad week at all, these days. I’m not going to do an individual entry for each book in the series. Nope. Not happening. I’m way too tired for that. Anyhow, Furies of Calderon was my first introduction to Jim Butcher, well before I ever encountered the Dresden Files, and I honestly like the Codex Alera a lot more, which is really saying something, since I love me some Dresden Files. At six books, it’s much more manageable of a read than the Wheel of Time, or even A Song of Ice and Fire. (Which, although it has fewer books, has much, much longer individual entries. The Codex Alera books cap out around 700 pages.) Roman themed fantasy, while it definitely exists, is much, much rarer than “medieval European” themed fantasy, which is unfortunately dominant in the world of fantasy fiction today. About once a year, I get a hankering to reread the entire series. It happened pretty early this time around. Oh, hey look, I did a review. Hey, look, a Hugo winner. Hmm. Maybe I’m reading Hugo winners for a reason, like I’m actually restarting my readthrough. (Yep.) Anyhow, more on this one later. Brandon Sanderson probably gets more rereads from me than any other author. I don’t know if that necessarily makes him my favorite author, but it definitely says something good about him. The Alloy of Law is a followup to Sanderson’s bestselling Mistborn trilogy, but is set centuries later, in Scadrial’s equivalent of the Wild West. Magic-filled gunfights, hurrah! The seqeul and third book are coming out around the end of this year, so that’s something fun to look forwards to. 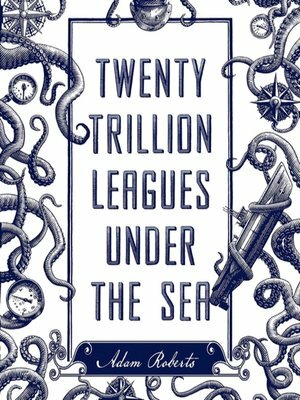 Posted in 2015 Reading List, Book Reviews and tagged Adam Roberts, Alloy of Law, Brandon Sanderson, Clifford Simak, Codex Alera, Jim Butcher, Twenty Trillion Leagues Under the Sea, Way Station on January 21, 2015 by mountainwashere.